There are plenty of over-the-counter (OTC) medicines to treat heartburn and upset stomach, but the Food and Drug Administration (FDA) suggests choosing one that does not contain aspirin. The FDA has issued an advisory, saying products containing aspirin that are designed to treat upset stomach can cause even worse stomach problems in some people. It says some people are more sensitive to aspirin and taking antacid products that contain it can lead to stomach or intestinal bleeding. Since aspirin thins the blood, it may combine with other medicines to contribute to serious bleeding. People most at risk tend to be 60 or older, have a history of stomach ulcers, take steroid medicines, and drink three or more alcoholic beverages a day. 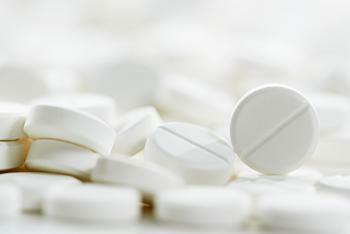 The agency admits aspirin-caused serious bleeding is rare. It has only reported eight cases of serious bleeding caused by aspirin-containing antacid products since 2009. But the bleeding was so serious in some patients that they required transfusions. Karen Murry Mahoney, MD, Deputy Director of the Division of Nonprescription Drug Products at FDA, says it pays to be aware. Mahoney said she wants to make clear the FDA is not telling consumers to steer clear of aspirin altogether. She says the risk is limited to antacid products containing aspirin. Some of the popular antacid products that contain aspirin include Alka-Seltzer Original, Bromo Seltzer, Medique Medi Seltzer, Picot Plus Effervescent, and Vida Mia Pain Relief. Acid reducers can include calcium carbonate, magnesium hydroxide, or another antacid. They are used to treat everything from heartburn and sour stomach to acid indigestion and upset stomach. If heartburn is a frequent problem, there are acid reducers like proton pump inhibitors or H2 blockers. The FDA said it is continuing to evaluate the safety of aspirin in heartburn products and will convene an advisory committee of experts next year to help determine whether additional warning labels are needed. In the meantime, if you regularly take an antacid product, it might be a good idea to discuss the best treatment options with your doctor.